Why does "Max Bandwidth" only show DDR4-2133 (1066MHz)? In CPUz, BIOS, and other utilities that display memory SPD information, you may notice that the modules are recognized as DDR4-2133 or the information states "Max Bandwidth DDR4-2133 (1066MHz)"
This value is not showing the actual maximum capabilities of the RAM; it is not displaying the current operating value of the RAM. It is showing you with AUTO default settings in BIOS/EFI, in other words, XMP is not enabled, no changes were made to memory settings in BIOS, the system can only recognize the RAM as DDR4-2133. Using CPUz, if you look below, it displays all memory profiles embedded within the modules. Notice the highest JEDEC # is 1066MHz. The DDR4 memory standard is DDR4-2133 CL15 1.20V; so this is the value all memory kits will default to in any system with no setting changes. The benefit of this is the RAM can work in most DDR4 computers whether or not it can support the actual rated values of the RAM. For example, DDR4-3000 memory can work in most DDR4 systems even if the CPU or motherboard can only support DDR4-2133. 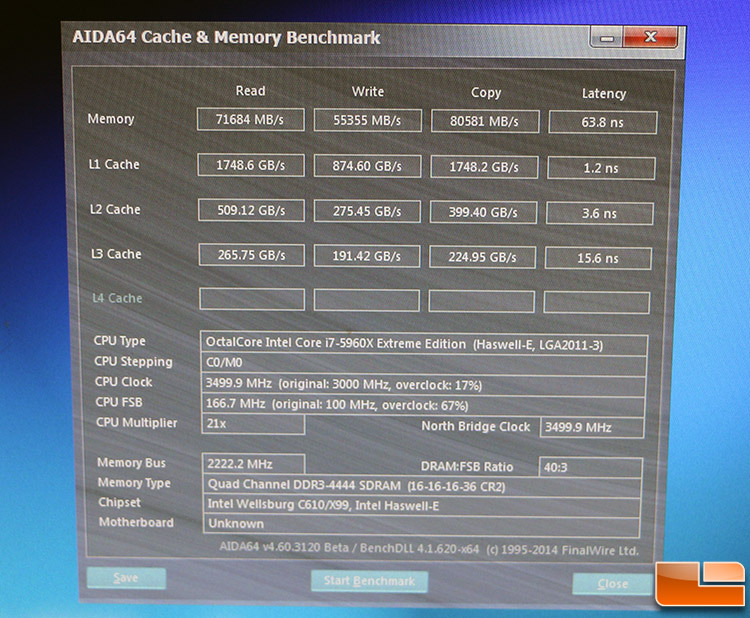 It will only operate at DDR4-2133 due to the limitations of other hardware. But with a motherboard and CPU that is certified to be capable of a memory kit with certain frequency such as DDR4-3000, then you can enable XMP Profile in BIOS or use manual settings for the system operate at maximum performance DDR4-3000. Note, some motherboards state a high DRAM Frequency value, but it does not mean it can support any memory kit up to that frequency. It is imperative to follow the motherboard or memory manufacturer's QVL list for hardware that is guaranteed to work. If you do not follow the list, expect manual tweaking or inability to reach the full specifications of the RAM you purchase. This is especially true for extreme frequency memory kits such as DDR4-3000+. As you can see, this is the same for any brand, not only G.Skill. JEDEC standardization applies to all RAM and other types of memory also have their guidelines to follow so the memory is most compatible with the device they are installed in. With a program like CPUz, Intel XTU, AMD Overdrive, ASUS ROG, Gigabyte Easytune, all these display the real frequency or bus frequency. Real frequency is the MHz value that is half of the effective frequency DDR4-xxxx. Because DDR technology is double data rate, it can double the real frequency when tested or benchmarked using program such as AIDA64, PassMark, etc. 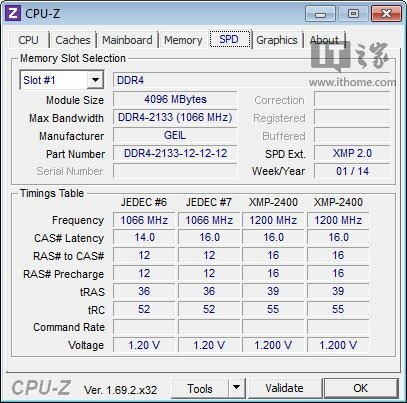 If the software has to run the system through a test to display the memory values, it will show you the effective frequency of DDR4-xxxx. If the software displays values without any testing, it will show you the real or bus frequency of xxxxMHz. Notice the 'Memory Bus' and 'Memory Type', all values on this page are current operating values based on the software benchmark test initiated. Hopefully this information provides some insight to how memory works and clears up some misconceptions. Please feel free to post questions or mention anything I left out. Chances are if you are unsure, someone else is too. DDR4 RAM boots up as DDR4-2133 - Why is my RAM recognized as DDR4-2133? For DDR3, the standard is DDR3-1333 CL9 and DDR3-1600 CL11, so these are the potential values the system can automatically boot up to. The basic principles I mentioned above for DDR4 all apply to these generations as well. So this standardization and XMP Profile stuff isn't new, just may be new to some. And as you can tell, for each generation it scales up and has it own values. Last edited by GSKILL TECH; 08-25-2016, 12:13 PM. For the Max Bandwidth all extended profiles including X.M.P. are ignored and the highest rated standard profile will be used instead. So as of today this defaults to DDR4-2133 / PC4-17000 / 1066MHz for almost any DDR4 memory. This will likely be the case, until the JEDEC finally expands the DDR4 standard and therewith allows manufacturers to include higher rated standard profiles into their SPD programming. The one usual exception are SODIMM, their programming deviates from the JEDEC standard to allow for higher default frequencies without the use an XMP, because most mobile and USFF systems don't support that tech.